What Is the Brave Internet Browser? Brave is a free web browser that launched in 2016 with the intention of protecting users' privacy, blocking online advertisements, and rewarding website owners with cryptocurrency payments. In early-2017, Brave launched its own cryptocurrency token, BAT, which is used to make payments. 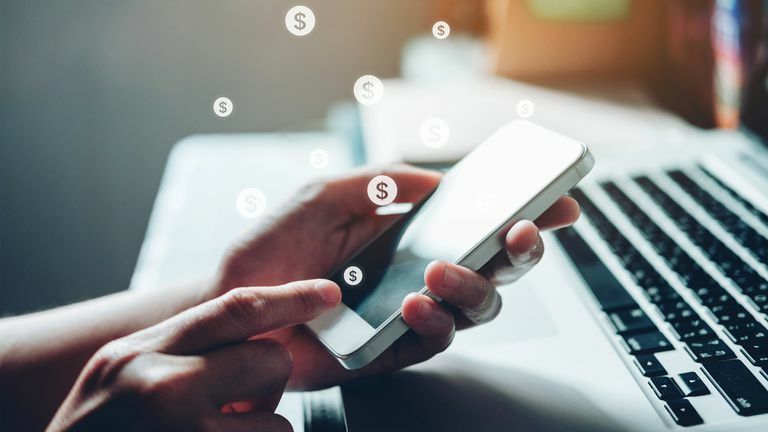 Later that same year, Brave began to expand beyond supporting websites to share BAT payments with YouTube and Twitch video creators. In late-2018, Brave announced plans to enable BAT tipping to post creators on Twitter and Reddit. The Brave browser is available on all major computer and smartphone operating systems. How is Brave Different From Other Internet Browsers? Brave works in very much the same way as other web browsers in that it allows you to browse the internet and access websites. There are two main aspects that set the Brave web browser apart from its rivals however. It has a strong focus on privacy and ad blocking. Brave users can voluntarily donate cryptocurrency tokens to website owners as they browse the web. Is Brave a Private Web Browser? Brave is very much, what some people call, a private web browser. By default, Brave blocks ad units, cookies, phishing, and malware and also provides options for blocking browser fingerprinting and enabling HTTPS Everywhere. Browser fingerprinting is an additional way for browsers and website to identify a user while HTTPS Everywhere forces a website to connect via HTTPS which is more secure than HTTP. All of these privacy settings can be individually turned on or off or customized by clicking on the icon that looks like three horizontal lines in the top-right corner of the screen, clicking on Settings, and then opening Shields from the menu on the left. How Do Brave's BAT Crypto Tokens Work? Brave's Basic Attention Tokens, or BAT, are digital tokens that the browser uses to monetarily reward website owners when Brave users visit their site. Essentially, the more Brave users that visit the website, the more money the owner will earn. Brave users need to buy BAT tokens. Brave has been known to gift a small amount of BAT tokens to users but this has been during promotional periods to encourage people to use the system. In general, Brave browser users will need to buy their own BAT tokens if they wish to donate to website owners. The user must then set an amount to be donated per month, such as $5 worth of BAT, which is then distributed to owners of the sites visited based on time spent on their web pages. Websites need to be claimed. BAT tokens aren't sent to website owners automatically. Instead, Brave will email the website owner when $100 worth of BAT tokens have been donated to their website and then ask the owner to confirm site ownership. Only after this registration is complete can owners withdraw BAT tokens as cash to their bank account. Bitcoin is one type of cryptocurrency and the BAT token is another. BAT is not Bitcoin. Brave exclusively uses the BAT token to pay website owners, however, users can buy BAT with Bitcoin (and Ethereum and Litecoin) if they wish. Where Can I Buy Brave's BAT Tokens? The easiest way to obtain some BAT tokens, the cryptocurrency the Brave privacy browser uses to pay website owners, is by exchanging some Bitcoin, Ethereum, or Litecoin for it from within the browser itself. Click on the three horizontal lines in the top-right corner of the browser window. Click on the orange Add funds button. A window will pop up with four options of payment; Bitcoin, Ethereum, BAT, and Litecoin. The BAT option is used for when you want to send yourself some BAT from another device. If you don't have any, you'll need to choose one of the other three cryptocurrency options. After clicking on Bitcoin, Ethereum, or Litecoin, you will be given a unique address to send that specific currency too. The amount you send to this address will automatically be converted to BAT and made available within your Brave browser. Copy this address to your device's clipboard by clicking on the small notebook icon to the right of it. Only send Bitcoin to a Bitcoin address, Ethereum to an Ethereum address, and Litecoin to the Litecoin address. Any crypto coins sent to an incorrect address will be lost forever. Open your cryptocurrency wallet (such as Exodus) or website (like Coinbase) and initiate a send action as you usually would. Paste the address you were given from the Brave browser into the recipient field by pressing Ctrl+V on your keyboard. Bitcoin is Bitcoin. Bitcoin Cash, Bitcoin Gold, and other similarly named cryptocurrencies are fake Bitcoin and are not the real thing. You cannot send these to a Bitcoin address. Depending on the network activity, your transaction could take anywhere from a few seconds to several minutes to complete. There are several reasons why you may want to choose to use Brave as your regular web browser. Brave makes it very easy to stop websites from tracking your activity. The ad blocking feature is very effective and makes pages load quickly. Brave is a relatively easy way for cryptocurrency newbies to experiment with the technology. By default, the Brave web browser blocks all ads on a website when you visit it. This has the potential to dramatically reduce the website's profitability and could result in the reduction of content being created from its owners. Brave users can help website owners financially by donating BAT tokens but it's unclear if this source of income could make up for the loss in ad revenue, especially when considering that users need to buy BAT tokens with their own money before they can donate. The Brave web browser is available for computers running Windows, Mac, or Linux and can be downloaded for free from the official Brave website. Brave can also be used on iOS and Android tablets. The official iOS Brave app can be downloaded for iPhones, iPads, and iPod touches via Apple's App Store while the Android version is available both in the Google Play app store and on Amazon.